Our team has gathered the perfect ingredients for this fine gift. 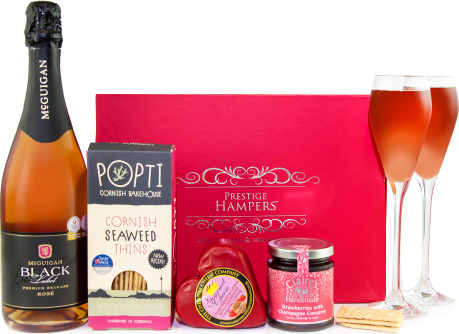 We have paired a premium bottle of rose with exquisite cheese, a delicious conserve, and scrumptious Seaweed Thins. The strawberry and champagne flavours found in the cheese and conserve make them a true delight and the perfect match for this refreshing bottle. Pamper somebody special for any occasion when you send this superb gift.